We are into the new year now and, as we enter the typically colder early months of the year, the heating will go up and Condensation will become more of an issue. Condensation accounts for 70% of reported domestic damp, and it is undoubtedly a contributing cause of damage to walls and furniture. In minor cases it may steam up windows and mirrors, but in more severe cases it can cause damp and mould on walls and soft furnishings. 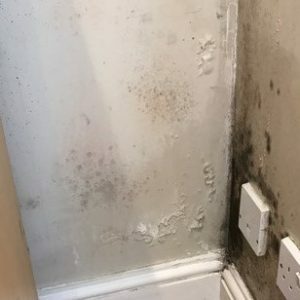 As well as being unsightly and creating an unpleasant smell, mould is damaging and can be costly when it causes premature redecoration or replacement. 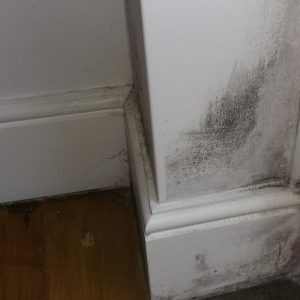 Mould growth from Condensation is most commonly black. It will form on any surface where it can find a good source of moisture and organic matter. As well as the obvious costs, the mould growth may be a health hazard. It produces millions of spores which become airborne and can then create respiratory problems and allergic reactions for householders in frequent contact with them. The predominant cause of Condensation is a lack of balance between heating and ventilation, resulting in a rise in relative humidity. Air can hold more water vapour when warm than cold. As warm air is cooled, such as when the heating is switched off at night, it will deposit the water that it can no longer retain as condensation on a cold surface. A similar effect can be demonstrated by breathing onto a mirror or other cool surface. What Condensation Solutions can Preservation Treatments provide? Increased ventilation and sustained background heating is necessary in avoiding condensation, damp and the effects of black mould occurring. However, when windows have to be locked shut, especially during the winter months, a form of automatic ventilation is necessary. Preservation Treatments offer a great solution with our range of positive pressure units. These units replace the damp, stale, air in the property with fresh filtered air. This will not only allow your property to breath but will also eradicate the damaging effects of condensation, damp and toxic black mould. Positive Input Ventilation systems are proven to be quiet, energy efficient and shown to significantly improve indoor air quality with incoming air that is controlled and filtered. We provide these Condensation Solutions throughout London and the South East, including Surrey, Hampshire, Middlesex, Berkshire and Sussex.